!! Make sure you check out this fantastic book !! We received 496 greetings for Norman! Norman Dewis, Jaguar driver extraordinaire, celebrated his 80th birthday in August. Since Norman is a very good friend of mine, I wanted to do something very special for him. This was an opportunity for all of us to do something very special. I can't think of a better birthday present than Enthusiasts worldwide sending our best wishes to him. I will personally present everything to him on August 10th. THANK YOU TO ALL THOSE WHO CONTRIBUTED! 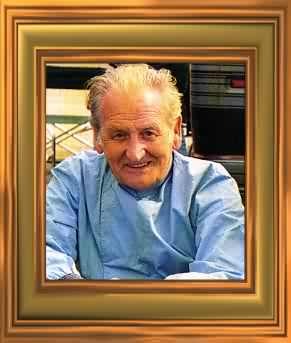 A short Bio: Norman Dewis was Jaguar's Chief Test driver for many years after joining Jaguar from Lea Francis in 1952. 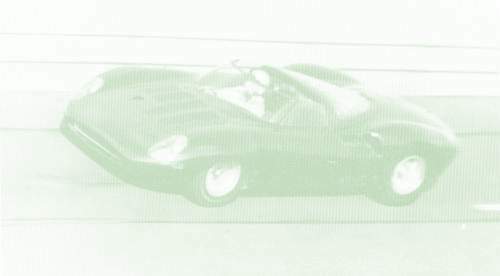 He contributed greatly to the success of the XK120 and its C and D-Type derivatives in the '50s plus carrying out virtually all the testing with the E-Type prototypes. People like Stirling Moss and Duncan Hamilton are names everyone recognizes, because they were well known drivers. The truth is Sir William Lyons could always find a good driver and replace them but he could not afford to lose Norman. Finding someone who can not only drive, but develop is another story, more than that it is a very, very rare talent. This is why Sir William did not want Norman to race - he could not replace him. It is ironic that the reason Norman is not more well known is because of how important he really was to Jaguar. For instance, he did the development work on the Disc brakes (which anyone who drives a car today should appreciate). Norman's very copious and extensive notes of the time are a goldmine of information for historians and he is still a spellbinding master speaker at Jaguar events worldwide. He was a driver at the recent Goodwood Festival of Speed in the UK behind the wheel of an original D-Type (XKC401). Norman actually drove in the 1955 Le Mans and finished 5th in the Goodwood 9 Hours race in 1955 driving OKV 2. He has recently been made an honourary member of the British Racing Drivers Club (BRDC) - a wonderful recognition of the man and something he had wanted to achieve all his life. His next excursion is at Monterey, California in August where he should be at the wheel of OKV 2 once again, now aged a sprightly 80! He devoted his life to Jaguar, worked very long hours, even having 5 apprentices for Jaguar live at his home. Norman is a wonderful promoter for Jaguar and has often spoken to me about "carrying the flag for Jaguar". He has done this his whole life and the VERY LEAST we can do as enthusiasts is show our appreciation for what he has done. At one of the XK50 dinners, Norman Dewis was one of the speakers and his main story was about the 172mph run. I just wish my camcorder had worked. It was like being there when it happened with him telling about the fitting of him into the car and the actual speed runs. It was bloody this and bloody that, and he meant real blood. The canopy was from a war plane and so low that he could barely see over the cowl. They had to remove the seat and he was just sitting on a cushion/pillow because his head would hit the canopy. The canopy was screwed on and had to be removed from the outside. He finally quit driving because he could barely breathe from the fumes and heat. I talked to him afterward and found out the engine had the two carbs, special cooling, belly pans and a low ratio rear end to obtain the desired speed. He was told to keep the RPM at a certain point but went about 600 over and said the engine still had more, but he didn't. I don't know how many people have ever had their tires spun balanced on the car with the old Bear equip, but I used to see the tire beading start to pull out from the rim when they did it at supposedly 100mph, which is a bit less than 172 mph. What a guy. I am glad he has lived thru all the testing. To one of the people that have made Jaguar the passion for so many. Happy 80th Birthday Norman! Congratulations on your 80th Birthday. Many happy returns! Happy 80th Birthday Norman! And many, many more. Kinda like the life of a Jag! Happy 80th Birthday Norman! Without your great dedication and vast experience, I am sure that Jaguar would not be what it is today. You made the marque then and continue to uphold all that is good with the marque today. Congratulations on your 80th. I hope that you have many more. Happy 80th Birthday Norman! First heard of you in '57 while living in Venezuela, So. Amer. Mother (from South Wales) made a point of getting me interested in Jaguar at that time of your running. Great things have come from your involement with Jaguar and certainly appreciated world over! I now own a 1986 XJS V12 as a result of this. Thanks!!! Tex. Happy 80th Birthday Norman! Thanks for all of your contributions to the Jaguar world over the year! Happy 80th Birthday Norman! My XJ Coupe is my pride and joy, thank you for your part in creating such wonderful cars. Thanks for your contribution to making excellent cars! Happy 80th Birthday Norman! Happy 80th Birthday Norman! Thanks for your work of love to get us these great cars!!! Happy 80th Birthday Norman! Have a wonderful day, and thanks a lot of a beautiful cars. To a Great survivior of the Best. Happy 80th Birthday Norman, have a great day! Happy 80th Birthday Norman! happy birthday,god bless. Happy 80th Birthday Norman! May your 80th birthday bring you as much pleasure as the two vehicles I have bring me and always remember - Old Jagmen don't stop they just get restored!